Senior Nigerian lawyer, Femi Falana, has called for withdrawal of President Muhammadu Buhari-led Federal Government to withdrawn its charge against the Chief Justice of Nigeria (CJN), Justice Walter Samuel Onnoghen. He, therefore called on the justice minister, Abubakar Malami, to immediately withdraw the charge. 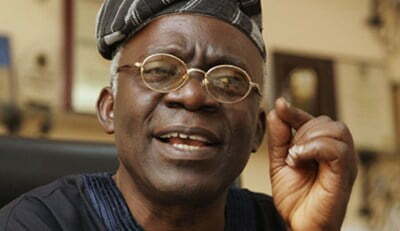 Falana said: â€œThe charge against the Chief Justice of Nigeria, Justice Walter Onnoghen ought not to have been instituted at the Code of Conduct of Tribunal in view of the case of Nganjiwa v FRN (2017) LPELR 43391 wherein the Court of Appeal held that a judicial officer who has not been investigated by the National Judicial Council and sanctioned for misconduct cannot be arraigned in any criminal court in Nigeria.